It was crucial to steady the ship after the heavy defeat at home to Uzbekistan. Do not anyone point out that I did not actually get to watch the game, else my instant retort will be who did? That nation north of the 38th parallel chose to be medieval by not providing televised coverage; and probably for no other reason than simply to annoy all of us. Thus, scouring the Internet net for live stream sites which all turned out certifiably bogus and squinting in front of a laptop waiting for Inquirer Sport’s Tweetcast updates must rank among the quirkiest ways of following a football match. Furthermore, doing so added credence to the notion that it is what you do not know that scares you. 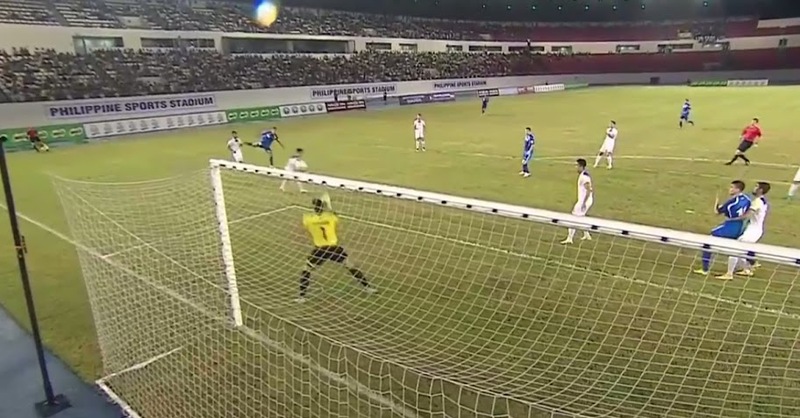 What I did know from watching DPR Korea’s matches against Yemen and Uzbekistan was that the Koreans are physically robust and have height and speed; but also that they lack guile in the final third and that their finishing can be atrocious when given a look-see at goal. Oh yes! They did score four in the first half against the Uzbeks. They did catch the Uzbeks, who were playing their first qualifier, quite cold; and there was the little matter of the Koreans scoring early in what was really a propitious goal. Thus, I was confidently telling the fellers I travelled to the Philippine Sports Stadium with for the Uzbekistan game as we rode back home that I thought the Azkals were capable of getting a favourable result in Pyongyang. First of all, the dynamics in the Azkals camp changed after we won our opening two matches; and our players were arguably weighed down by expectations that were not there before June. Second, the 1-5 result flattered the Uzbeks. At least four of the five they scored were totally preventable and were conceded because the defence was having a totally forgettable day in the office. Hence, we did not suddenly become a bad team because of a bad result. Go ask the Brazilians, who chose a World Cup semi-final of all occasions to implode. The 1-7 humiliation at the hands of the Germans notwithstanding did not suddenly mean that Brazil had become San Marino. If anything, the loss to Uzbekistan put the Azkals’ chances in World Cup qualifying back in perspective and must have released the nervous energy erstwhile simmering inside the camp. Still, the trip to Pyongyang was going to be as reassuring as walking through a mine field. The wins over Bahrain and Yemen created a euphoric wave; the Uzbekistan game pricked the bubble; and a bad result against DPR Korea could send our team into freefall. For casual fans, DPR Korea must have seemed like an Everest of a mountain to climb not least because it had been to two World Cups but also more because of its impressive home result against Uzbekistan last June. Football, however, is seldom as simple as merely extrapolating the results. Even humble Yemen for all the troubles its campaign has been plagued with quickly discovered that the North Koreans are not invulnerable. Crucially, Thomas Dooley stuck with Neil Etheridge at goal and Luke Woodland in the heart of defence. The two gentlemen arguably had the worst of the defensive bad day at the office against Uzbekistan. Whatever the environment, few things can be as powerful a motivator as receiving a vote of confidence from the boss particularly after a bad day. Dooley is nothing if not a risk taker, and threw in young Amani Aguinaldo into the starting line-up as well. In starting with two youngsters at the heart of defence in the cauldron that was the Kim Il Sung Stadium, Dooley was also placing an investment for future campaigns. It was crucial that we did not concede early, as Uzbekistan found to its chagrin last June. Those who saw the 0-7 thrashing the Koreans received at the hands of Portugal in the 2010 World Cup will recall that, in fact, they did all the early running and the Portuguese were happy to sit back and absorb what was ultimately a predictable North Korean attack. Those who watched DPR Korea against Yemen and Uzbekistan in the current qualifying campaign would have gotten the feeling that, while personnel has changed, this predictability has not changed. They love to attack in flowing waves but are often found wanting in the final third. When we got to halftime yesterday at 0-0, I knew we would be alright. I am an experienced coach who likes to think that there are few things in a game of football that can still send a chill up my spine. In fact, I once went through an entire tournament when no less than four of my team’s matches were settled by penalty shootouts. Ask any coach, few things can be as unnerving as these shootouts. Most matches I can watch objectively and without becoming overly emotional. Then again, this is because I see what is going on. Yesterday was different; and while I was confident the Azkals could get something out of Pyongyang, not being able to see what was going on was the most unnerving part. I was literally holding my breath when the updates from Pyongyang were being delayed. Thomas Dooley has quickly stabilised the ship; and because the Uzbeks came away from Manama last night with a 4-nil victory, our own away trip to Bahrain is now to be played after a confidence-boosting draw in Pyongyang.